What a year 2017 has been for us! Most excitingly we welcomed our newest little bairn into our family and he's our absolute joy. BookBairn has grown and changed so much and yet she's the little sparkler we've always loved. I've passed a full year as a stay at home mum and mostly really enjoyed it. Writing this blog has become more than a hobby and is a real passion-project which has required dedication and something I am short of, which is time. But it's been so rewarding to get to know our readers more, to join in with the picture book fan communities on social media and even be ranked in the top 100 children's book bloggers in the world. I'm very excited for what 2018 has in store for us and I hope that we will settle into a new rhythm with each change. Lots of plans to hatch, plots to conspire over and books to read. I'm hosting a little Twitter chat on the most anticipated picture books with lots of picture book fans joining in next Sunday at 8pm and will have a blog post up about that soon. 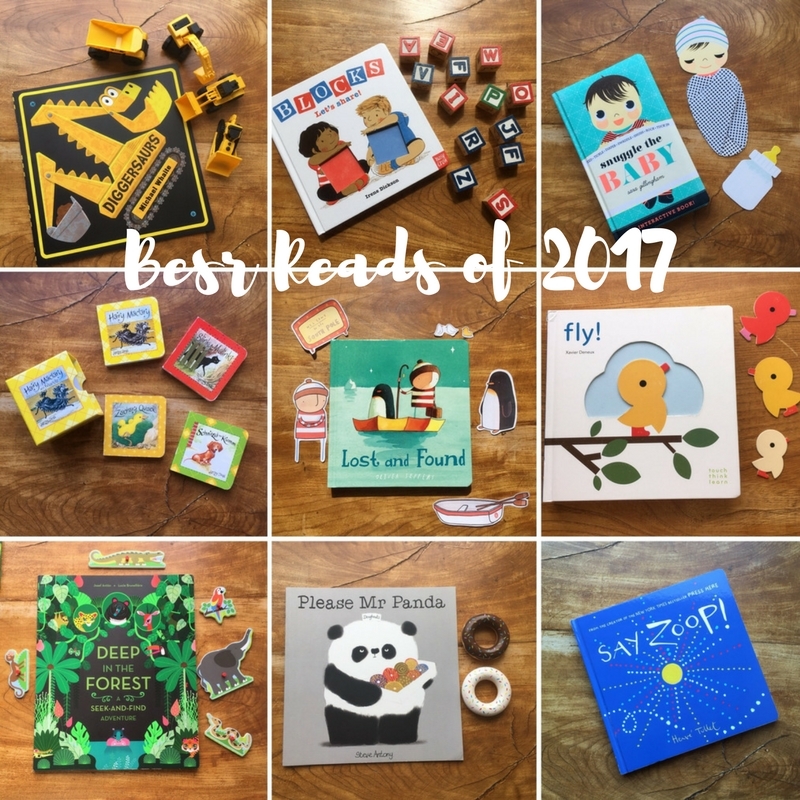 But looking back to 2017 here are BookBairn's best reads of the year. Combining two of the most common fascinations of toddlers it's not a surprise to me that BookBairn has chosen to read this over and over. In fact, we read it again today. She enjoys spotting the numbers on the sides of these dino-diggers and likes to read it by herself. The illustrations are bright and colourful with great thought put into how each digger could resemble a dinosaur (or the other way around as they are so well-woven it's hard to know where the starting point is). The backgrounds have great little details to pick out and enjoy, and the text is a brilliant bouncing rhyme making it a super read aloud. For our full review check out this blog post. It is brilliant little interactive book starring a family of little birdies. On the first page, we meet a little yellow bird who has found a tree to make her home in. And you have to lift the yellow birdy out and move the character into the tree! Then a little red birdy pops along and he moves in too (and again you can literally move him in). Next you can help them build their nest by moving the twigs around, and help their babies hatch from the eggs by removing the shell pieces. And finally, of course, you can lift out on the of babies and make it fly off into the sky! This book is incredibly stylish and the illustrations just pop-out of the page, both figuratively and literally. This is one of the books that BookBairn pulls off the shelf again and again and again. Our full review of this one is here. This is a book that BookBairn enjoys reading at any time of day - she will pull it out of the book case and drag it's oversized pages, spread it out on the floor, lie on her tummy and pour over the pages searching for animals again and again. Each page takes a different perspective showing the forest from above, delving underground, floating down the rivers, above the tops of the trees, and even a night scene where the eyes of all the creatures are glowing luminously. To add to the brilliance of the artwork there are over 50 animals to find which are listed on the back and throughout the text with an animal truly hidden under a flap on each page too. BookBairn enjoys flipping between the final two page spreads seeing the animals in the day, and then like the flick of a switch at night - she says 'goodnight' to all her favourites. This is a truly imagination capturing book. Check out more of our thoughts here. This funny story about a panda who has doughnuts to share is a great story for teaching children the importance of saying 'please'. But, that aside, it's also a funny tale about a quirky looking panda and an abundance of over black-and-white creatures and their desire for a doughnut (or two). BookBairn loves this one - and thanks to all the repetition she can recite most of it by heart. However, just so you know, BookBairn doesn't share her doughnuts with anyone! (Just kidding! She actually has two wooden ones that she plays with at tea parties and I often get one to pretend-gobble!) It was one of our favourites in May (and still a popular choice now) and you can read more about it in our May Favourites Shelf blog post. Another book which featured on our Favourites Shelf in June was 'Blocks' which is one that we have been reading this week a lot as BookBairn settles into her new big girl bed, requiring a few more stories at bedtime (and this one is super short so perfect if you need to fit an extra story in). This is a lovely story of two children - Ruby with her red blocks and Benji with his blue blocks - who are learning to share their blocks. Except they don't really want to share and there is a bit of a crash-tastrophe but all ends well... until Guy shows up with his green blocks. BookBairn now understands the humour of this final page and laughs out loud. She thinks it's hilarious. And I like it a lot too! This is a bit of a cheat to include this one because in actual fact we don't read the book very often (though I am told it is a favourite at nursery). But we do listen to it every day in the car. On repeat. Thank goodness it's so good. If you don't know the story - it's about a boy who finds a penguin at his door and eager to help him he tries with all his efforts to return him to his home. However, once safely deposited back at the Antarctic the boy realises he has made a huge mistake. BookBairn loves this one so much she has renamed it (something that only happens with favourite books) 'The Penguin and the Boy'. The animated film version is also pretty good too! I include these ones only because Daddy BookBairn says I have to. And he's right, they are BookBairn's most read book of the year (which is probably why I am a bit sick of them - being only five pages each and with no story simply a description of the illustration - I find them a bit boring). But BookBairn adores them! She must have read them over a thousand times this year (seriously). And of course now she can read them herself. Each mini book stars a character from the Hairy Maclary series and describes something that they like doing. The illustrations are taken from the popular books. Daddy BookBairn says "these are not really about the books but more about the experience of reading them with her. She really enjoys them and that means that I enjoy them too. I love that she shares them - I get Hairy Maclary, Mummy gets Slinky Malinky, Louis (the lion) gets Schnitzel von Krumm and she reads Zachary Quack - one for each of us. And that makes bedtime special." As you know we welcomed The Wee Page Turner into our family in April so we spent much of the early part of 2017 reading books to help BookBairn adjust to his arrival. But this book has remained a favourite. And, like some of the other books I have mentioned in this post, it's one that BookBairn likes to read and play with by herself. It is truly a perfect book for little ones to introduce the idea of looking after a newborn. Completely interactive, the readers have to help play with and look after the baby in the story. The colours and illustrations are just lovely and the baby character is enchanting. If only looking after a baby really was this easy! Check out our full review here. 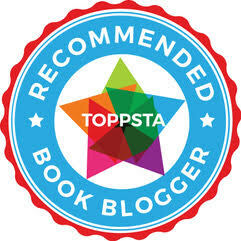 Writing this one I realise I owe you readers a short apology - how could I have not reviewed this series already?! I am so sorry and will write it on my to do list asap so you can expect a full review soon. This isn't a story in the typical sense but it is great fun to read. Each page features a variety of coloured dots, large and small, reed, blue or yellow. And at the beginning of the book each colour is allocated a sound and the varying size of the dot indicates the volume. Accompanied by text that encourages you to read the dots in a particular way this book is great fun. Laugh out loud fun. BookBairn can definitely read this one - not just memorise it - and she has learned that a symbol can correspond to a specific sound, as well as realising that text is read from left to right. What a lot of learning that she didn't even notice because she was having far too much fun! Well, that's our favourite reads. It's funny to think that by the end of the year I'll be including The Wee Page Turner's favourites too (he's still too little to be showing any choice as yet though it's evident he already loves books and storytime). What was your favourite book last year? What a great collection. My favourite book last year was Diggersaurs coupled with a walk to see the old digger (something I have some empathy with) near BookBairn’s house. She still loves to see diggers and who doesn’t love dinosaurs?